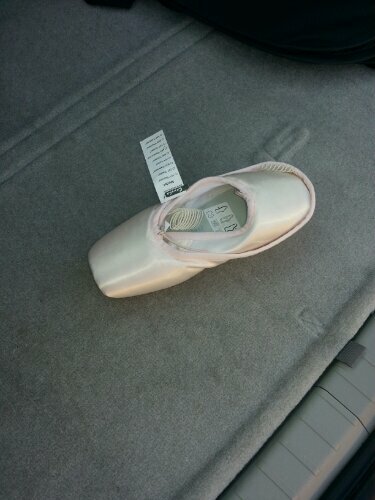 SIZE 6M- OVATION/#603 (FROM RUSSIAN BALLERINA)-I WILL TELL YOU WHOSE THEY ARE IF YOU BUY THEM. THE WRITING ON THE SHOES IS IN RUSSIAN. THEY ARE ONLY $30 EACH. IF YOU ARE INTERESTED, I WILL MAIL THEM TO YOU! Previous PostMisty Copeland, Dancer or Politician: Indentity Politics and BalletNext PostSilent Sunday – Why write?